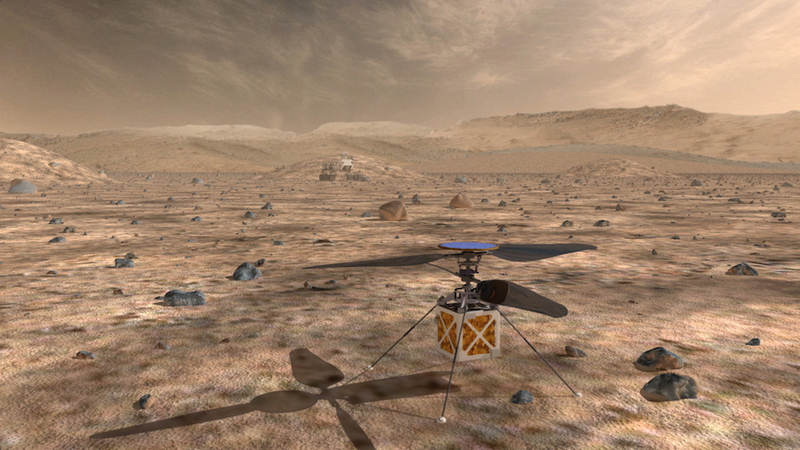 Engineers at the Jet Propulsion Laboratory have worked on the helicopter design for several years, modifying principles used in drones that fly in Earth’s atmosphere for the more challenging conditions at Mars. The atmospheric pressure on Mars is less than 1 percent that of Earth, and the Martian gravity field is about three-eighths as strong as it is on Earth. The helicopter weighs about 4 pounds, or 1.8 kilograms, on Earth. An internal battery is capable of powering the drone for flights lasting between 90 seconds and 2 minutes — enough time to travel up to 1,000 feet, or 300 meters — and solar panels can recharge the battery for subsequent flights, Watzin said. The drone has spinning rotors, avionics and sensors to fly autonomously on Mars, without real-time inputs from ground controllers on Earth. NASA managers say the helicopter could give scientists better views of rough terrain, where it is unsafe to send a rover. 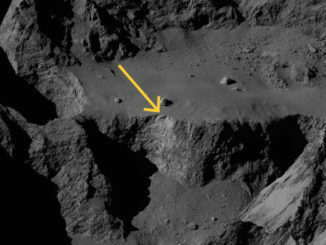 The drone could also scout a rover’s planned drive path for obstacles. Jim Green, head of NASA’s planetary science division, said the space agency will examine the technical readiness of the helicopter and the cost of sending it to Mars in 2020. “There are two aspects of it,” Green said Feb. 21. “One is the feasiblity of a technology demonstration such as what the helicopter concept is moving forward on, and the other part of it is an adequate budget to be able to execute it. If approved for launch with the Mars 2020 rover, the drone would carry two cameras — one for navigation and one for higher-resolution color imagery. Mission planners want to ensure the helicopter will not harm the rover itself, so controllers would drive the Mars 2020 rover to a position far away from the drone, reducing the chance of a collision or dust impingement on scientific instruments. “The concept of operations that we looked at for the helicopter involve the rover placing the helicopter on the surface, and then moving several hundred yards away to try to have a safe fly zone so that we can limit the possibility of recontact,” Watzin said. Once the helicopter concept is demonstrated on Mars, future rovers — and potentially eventual astronaut crews — could use the technology on a more regular basis. 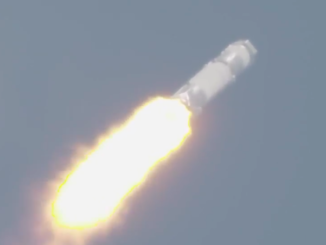 NASA announced Wednesday that the Mars 2020 rover, which is set for liftoff in July 2020 on a United Launch Alliance Atlas 5 rocket, has officially entered its assembly, test and launch operations phase. The milestone marks the start of final construction of the rover and the descent stage that will deliver it to the surface of Mars. 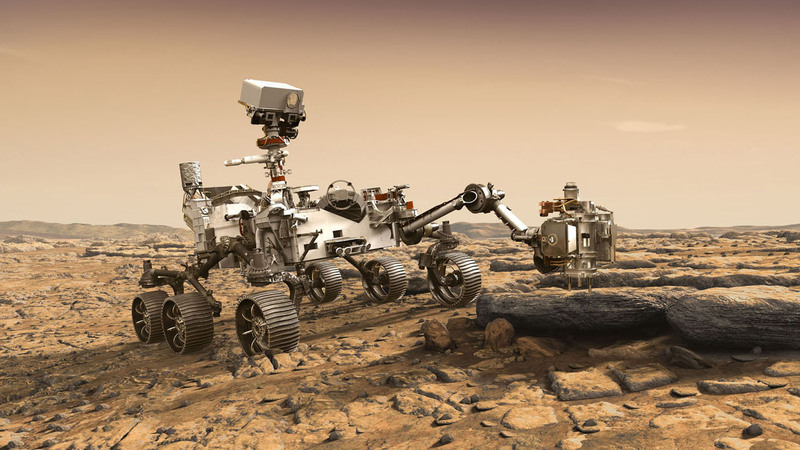 Based on the rover and sky crane lander design from NASA’s Curiosity mission, Mars 2020 will reach the red planet in February 2021. 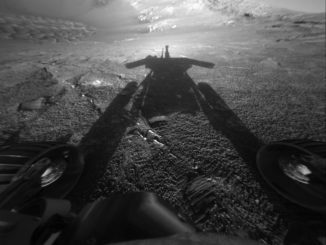 The rover carries instruments to study its geological environment after touchdown, a zoom-capable camera, sensors to look for organic compounds, and a radar to map the underground structure at the landing site. Another instrument on the Mars 2020 rover will attempt to produce oxygen from carbon dioxide in the Martian atmosphere, a test to determine whether future astronauts could generate their own breathing air, water and rocket fuel from natural resources at the red planet. Mars 2020 will also collect rock samples and store them inside sealed tubes for retrieval by a future mission that will return them to Earth.